That would be amazing. Thankfully for us it’s December, aka the month of all things sweet. This is probably the only month of the year it’s semi acceptable to eat dessert all day long…wait, that’s true, right? For real though, this is my thinking. Just like I am having way too much fun with my Christmas Drinks this year, I am also having fun with my desserts as well! Savory foods have taken a little bit of a back seat, and I’m all about the chocolate, cookies, and candies. Not complaining one bit. Love this time of year. And don’t worry, I still have your savory recipes coming too…just extra excited about all the desserts this month. Anyway, I always feel like Tuesdays could use a fun recipe to make them a day to look forward to. And trust me, this Crème Brûlée is definitely worth looking forward to. 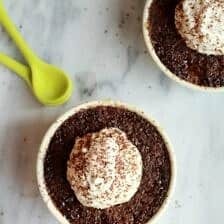 Chocolate Crème Brûlée (…why isn’t all Crème Brûlée chocolate?). Sugar Cookies (…for scooping because I mean, why not?). Unlike traditional Crème Brûlée, I decided to make a chocolate version topped with sugar cookies. I know the sugar cookie topping might seem a little over the top, but guys, it’s December. We can (and should) do over the top! The idea is that you use the cookies in place of a spoon. So you get a little chocolate Crème Brûlée and a little sugar cookie with each and every bite. Yes, it’s just as sweet and delicious as it sounds. Here’s the thing. I feel as though most people think that Crème Brûlée is a somewhat intimidating dessert to make, but the truth is that it’s actually one of the easiest. I think it’s the name, Crème Brûlée, with all those odd grammar marks above the letters. It just seems so fancy and unapproachable. Well, I am here to inform you that you can indeed easily make Crème Brûlée at home. You can. You can! It’s a pretty simple process. 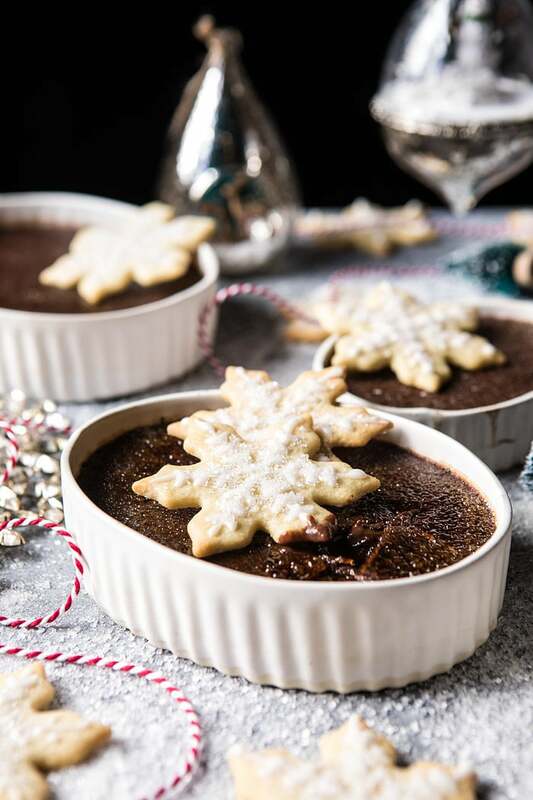 Whisk up some eggs and sugar, warm some cream and chocolate together, stir that into the eggs, pour into ramekins, add water to your baking pan (the water just keeps the surface of the Crème Brûlée from cracking) and bake. Done and done. The hardest part is the forty minute baking time and the hour plus time to chill. The waiting game is no fun. I don’t blame you if you just eat these warm, with cookies…yep, totally done that, it’s delish. I finish off each Crème Brûlée with a little homemade vanilla sugar, and then these sugar cookies (I just made snowflakes and used a simple white icing (ps. these sugar cookies are delish too). As mentioned, we like to use the sugar cookies in place of spoons to get a scoop of Crème Brûlée with every bite. 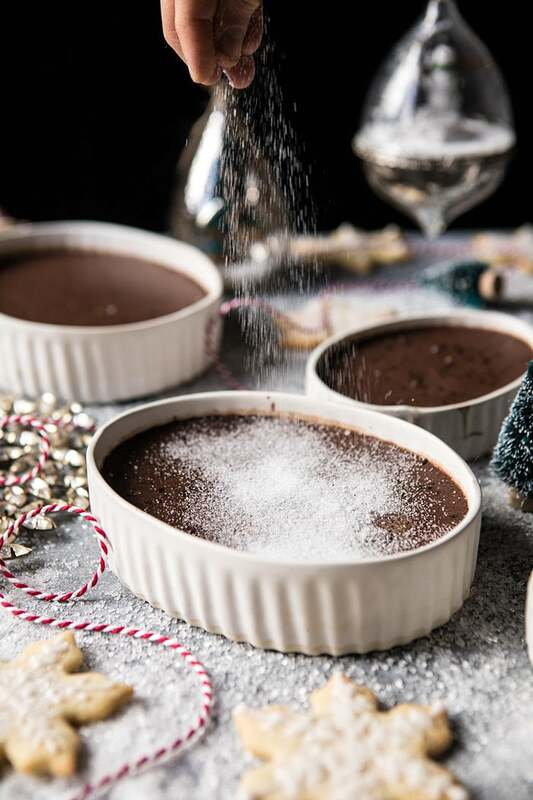 It’s perfection on so many levels, and one of the best holiday desserts I can think of. I mean, it’s cookies and chocolate Crème Brûlée. Bonus? 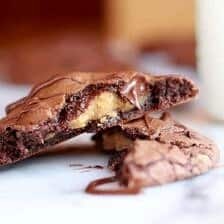 These are the ultimate dessert to entertain with because you can make them a few days ahead and simply keep in the fridge. Be sure to brûlée the top just before serving, it always impresses everyone. 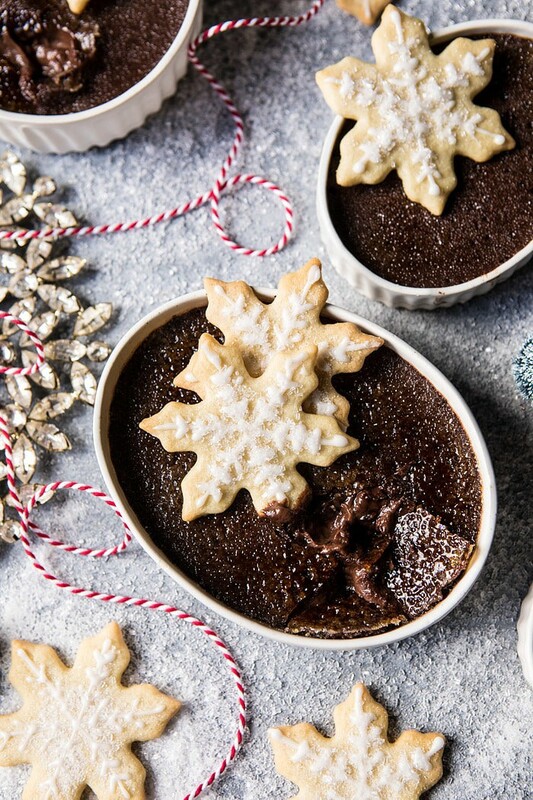 Rich, creamy, and swirled with chocolate, this Chocolate Crème Brûlée topped with caramelized vanilla sugar is best eaten alongside a plate full of sugar cookies. 1. Preheat the oven to 275 degrees F. Place 6 (8 ounce) ramekins on a baking sheet with sides. 2. In a medium bowl, whisk together the egg, egg yolks, and 1/2 cup sugar. 3. In a medium saucepan, bring the cream to a simmer over low heat. Remove from the heat and add the chocolate, stir until melted. Whisk the hot chocolate cream into the egg mixture until combined. Whisk in the coffee liquor and vanilla. Divide evenly among the prepared ramekins. 4. Transfer the baking sheet to the oven and carefully pour enough water into the baking sheet to come halfway up the sides of the ramekins. Bake for 40-50 minutes or until the custards are set on the edges, but still a little jiggly in the center. Remove and let cool completely, then cover and transfer to the fridge and chill until firm, about 1 hour or up to 3 days. 5. Meanwhile, make the vanilla sugar. Combine the sugar and vanilla bean seeds in a small bowl. Let sit until ready to use. The longer this sits, the more flavor it will develop. 6. When ready to serve, sprinkle the sugar over the tops of the Crème Brûlée. Using a kitchen torch, torch the sugar until caramelized. Allow to cool 5 minutes. Serve with sugar cookies for scooping. PS. 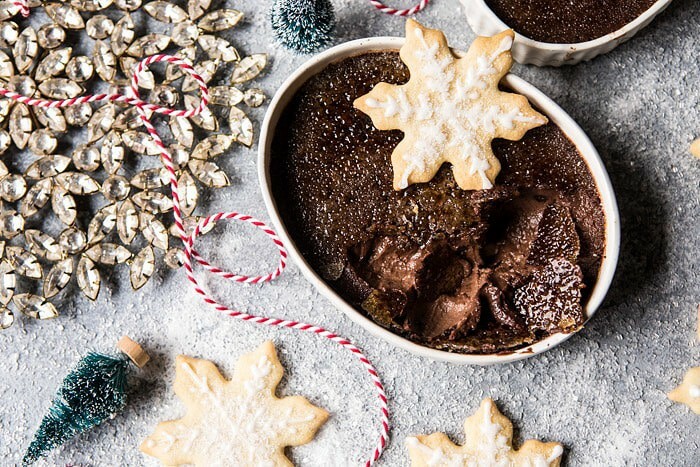 chocolate Crème Brûlée is always a winner. Obviously. Stop it. 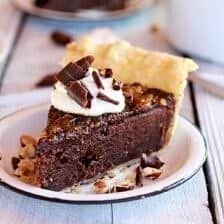 This dessert recipe is brilliantly amazing, wowza! hhhmmmmm this actually makes sense, you know? YES! Hope you love this! Thank you Ruth! YES! This looks amazing – sugar cookies are the best too and I can’t wait to bake up a batch – they always go down well with everyone!! I hope you and your guests love these!! Thank you Rebecca! I wanted you to know how much I enjoy your blog with the amazing photography, Perky and super fun props, delicious looking recipes and upbeat writing. I have made some of the dinner recipes and they are great. I have to bake gluten free …. if you ever have a good gluten free recipe to share we are out here looking! 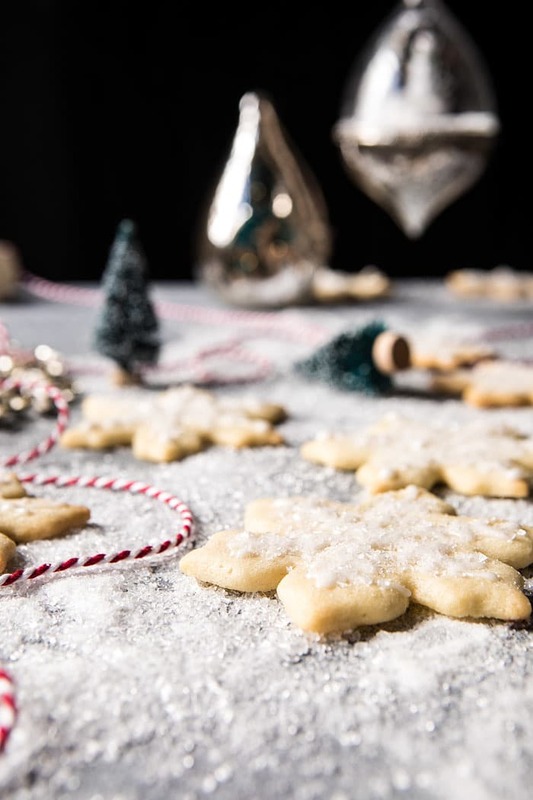 I had been wanting a sugar cookie recipe to make holiday cutouts for family and friends. Will try this one. I am so happy you enjoy my blog Sarah! I hope you love this recipe and I will look into some gluten free recipes! Thanks and Happy Holidays! 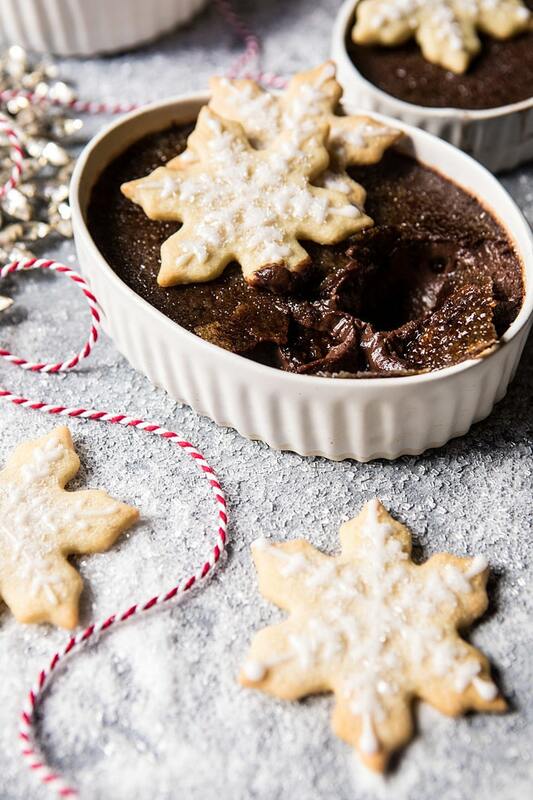 I live this chocolate Crème brûlée with sugar cookies! 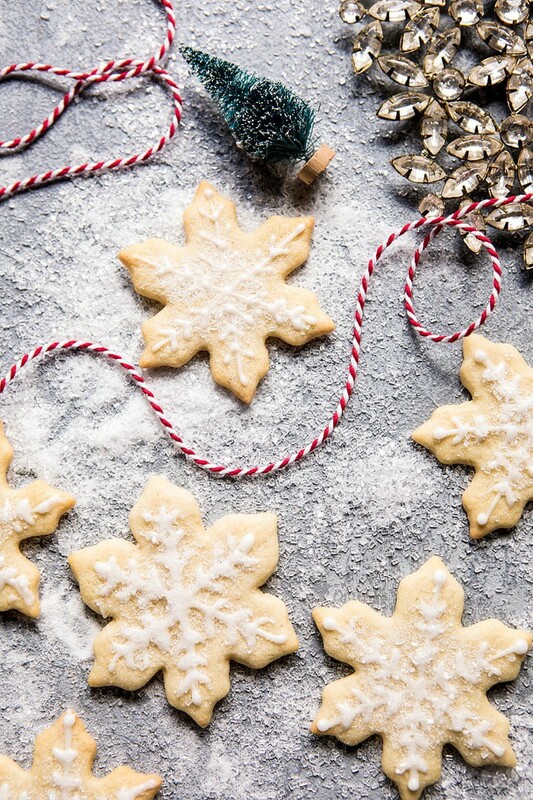 The snowflake cookies seem perfect to crack open that sugar coating shell and scoop up all of the chocolate. Haha I’m also in a baking mood and there seems to be nothing wrong with baking this time of year. I’m especially excited to visit my mom on break and bake a bunch of Christmas desserts (like this crème brûlée) and breads. I wish I had a kitchen torch! Do you have any recommendations for creating that caramelized shell without a torch? I do have a snowflake cookie cutter, so maybe my bonus brother can help me decorate 😅. Either way, I’m looking forward to more dessert recipes and hope you’re having a restful week! I wish I had some now. Great post. Love your blog! LOVE this flavor. And I’m obsessed with that GIF! Also, I’m LOVING the new site design!! Nothing could be better! 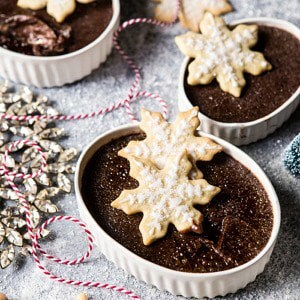 Total winner of a holiday dessert! 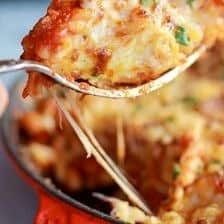 I love this beautiful recipe! How lovely for the holidays. Every month should be full of sweet things like this! 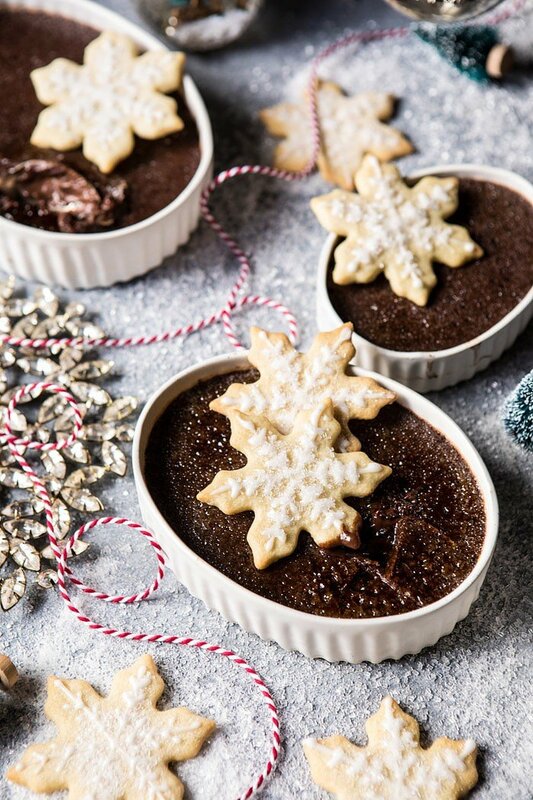 The most PERFECT holiday dessert. What a beautiful holiday dessert, love the sugar cookie toppers! Awh thank you so much Laura! And the creme brulee of course! Gah, just send me all the desserts, mm k? Ooo that sounds so nice! Thank you Lindsay! I am so so happy you liked this! Thank you! I am so glad you enjoyed this! Thank you Gabriella!